Cloud-Drive™ technology connects AXALIGHT drivers and luminaires using wireless technology and eDMX for fast installation and mobile systems whilst offering flicker free, super smooth dimming right down to black. AXALIGHT DuoTek™ provides a carefully balanced combination of Filament-White™ LEDs together with TriRGB colour mixing LEDs to create a wide palatte of colour while being able to provide highly energy efficient beautiful true whites. The perfect balance of colour rendering, engergy efficency and colour creation. Fast efficent LED driver deployment and support. 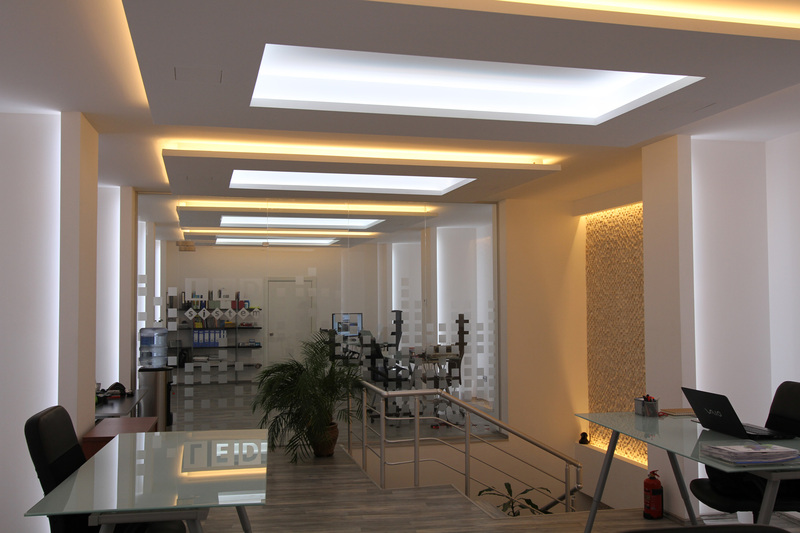 Developing technologies for stunning integrated lighting solutions. Cloud-Drive wireless LED control technology can be used to retro-fit existing projects where only power cabling exists. In the project shown left, only power is fed into the ceiling, control and even software updates are performed using wireless communication. Cloud-Drive is compatible with any lighting controller sending eDMX (ArtNet). 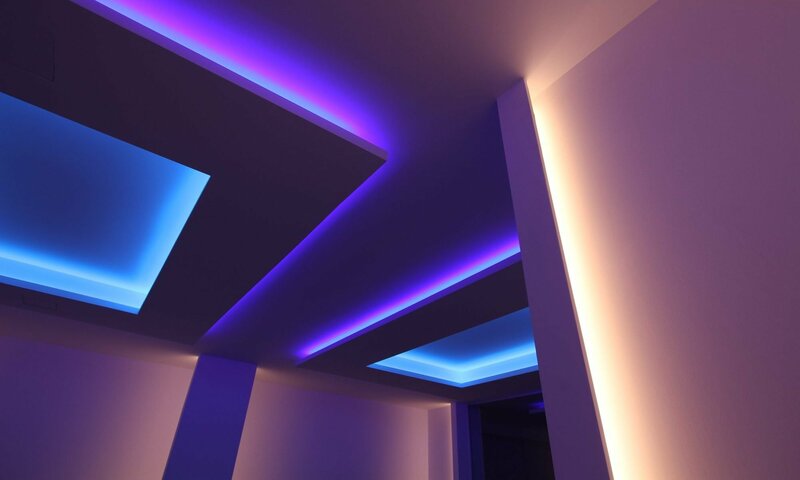 DuoTek technology enables LED lighting systems to be used in formal (full spectrum white) and dynamic (colour mixing) applications. The use of dedicated high efficency LEDs for white and seperate colour calibrated TriRGB LEDs enables DuoTek featured products to perform both tasks without compromise. At AXALIGHT we ensure colour consistency of our fixtures by selecting single binning during our manufacturing processes. For example, our 2,700° Kelvin Filament-White LEDs come from a single bin within the 12 available bins categorised as 2,700° Kelvin.